Do you journal? I have tried but just don't seem to finish the books. I have great intentions where I plan to write every day, just a little something to remember days past. So here's what I came up with. 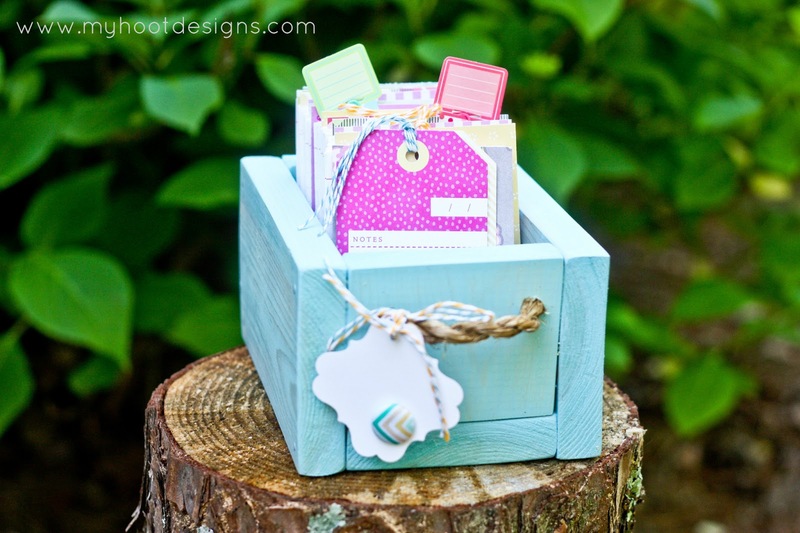 A Calendar Journal Box. 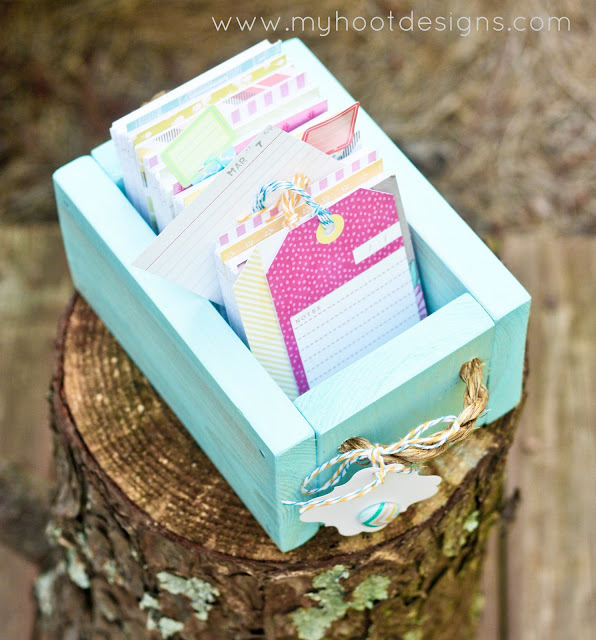 I made the box using my Ryobi Miter Saw and added the twine handles and stained it with Minwax stain. I filled the box with 365 file cards and 12 dividers using my Dear Lizzy American Crafts paper. I stamped each date January 1, January 2, January 3 - and so on for all 365 days. Now for the journaling part. 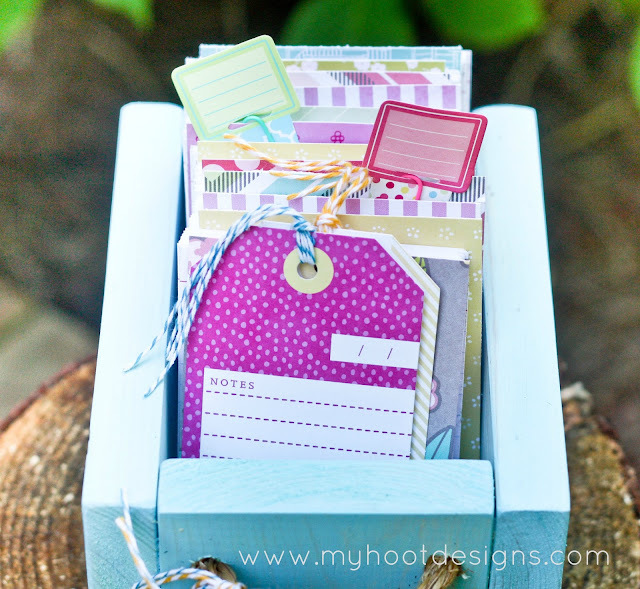 Each day you can pull that dates card and jot a short something down and stick it back behind the rest of the months cards. Then continue all month, month after month and then when you finish all 365 days you start over. What's fun is you can look back and see what your note was from last year, and the years past, as you reach that date each year for each of the days of the year. Google reader is going away so please add Hoot Designs to your preferred reader, I switched over to Bloglovin' and I really like it! New Follower and I love this idea! I LOVE this project - thanks for the inspiration! 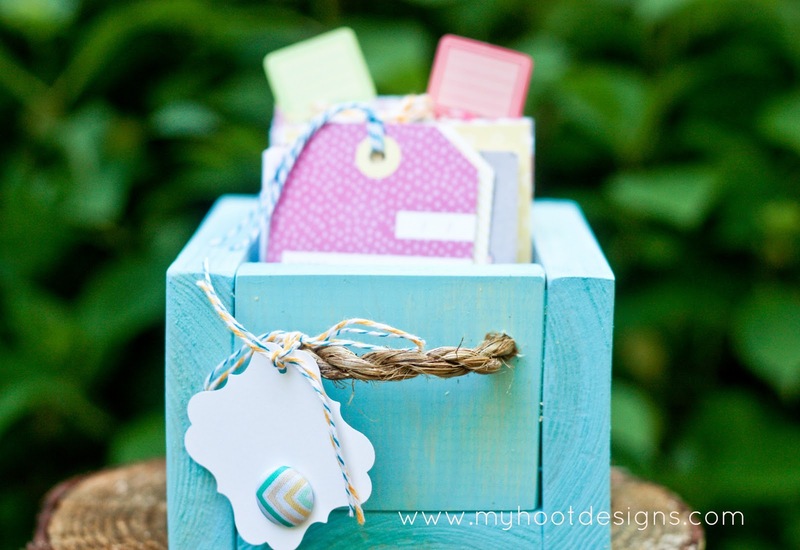 What a great idea and pretty colors!!! :))) Love it!!! What a wonderful idea! I love it! This is such a great idea! 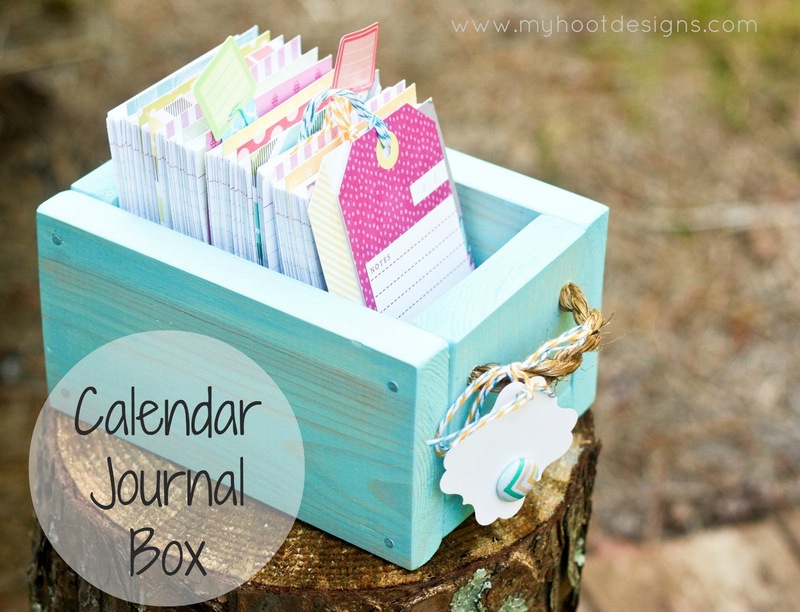 I keep a monthly calendar in which I write a quick note of what I did each day as a more compact way of journaling and being more intentional with my days, but this gives what I do such a more creative spin that I might have to make one of these! :) I love your blog! New follower on BlogLovin! xoxo! Do you have measurements for the box? 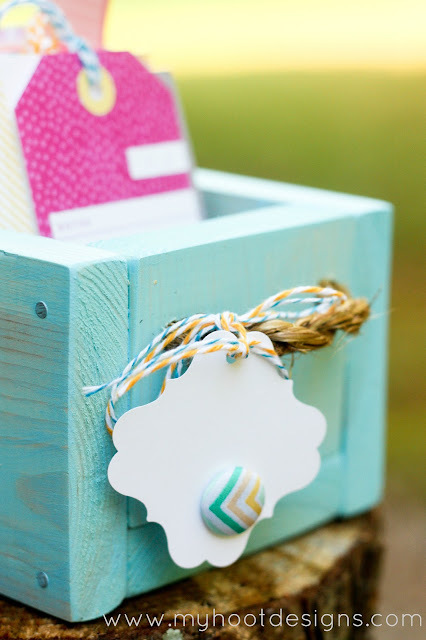 super cute idea and I love the color! Hey, Chrissy! :) Do you mind adding a link back to me too? Thanks! What a grand idea! Not only for teachers but for any manager! Thanks! Got you from Serenity Now's weekend bloggy reading link up.